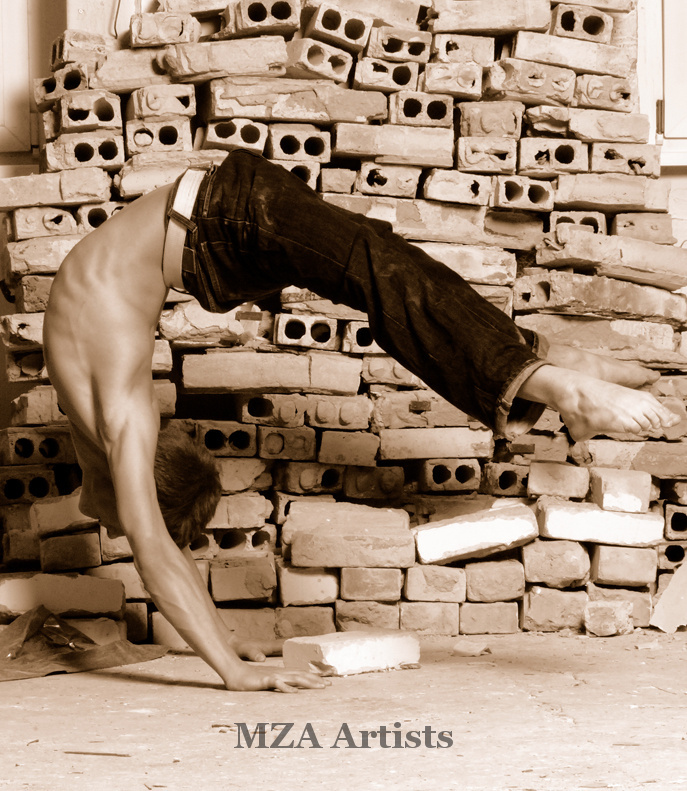 In the few short years since Eike finished school he has already set the variety world ablaze in Germany as the fastest-rising superstar in the European acrobatic firmament. An astoundingly gifted acrobat, he performs handstand, acro-balance, solo and double Chinese Pole, as well as several signature acts including water-bungee, and the incredibly beautiful and spectacular Dummy , from the show of the same name. He was accorded a scholarship at the prestigious Base Berlin training school and whilst still in his teens he was starring in the long-running smash-hit variety show SOAP. He went on to star in the next smash hit production from Markus Pabst called “Made in Berlin” and made such an impact with his acroblance act with a specially commissioned shop dummy that an entire show named DUMMY was created for and around Eike and which he co-directed with Markus Pabst. Alongside his performance and directorial work, Eike is a natural on-screen talent and is also pursuing an acting career.